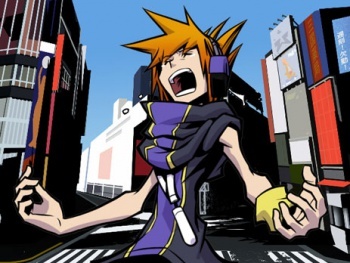 Is Square Enix working on a new The World Ends With You game? The answer is a definite "maybe" (followed by a coy smile and a wink). Last week, the appearance of Neku - the hero of cult hit The World Ends With You - in the trailer for Kingdom hearts 3D Dream Drop Distance raised a lot of hopes across the Web. While it was certainly possible that neku's cameo might just be a cameo (as is often the case with Square Enix characters in the Kingdom Hearts games), gamers were hoping that it was a sign of further things to come (like a proper sequel). According to the man behind Dream Drop Distance, a sequel is certainly a possibility. Speaking to Famitsu this week, Tetsuya Nomura was asked about a sequel to The World Ends With you. Nomura responded by saying "that Neku's appearance could be taken as notice of something to come, adding that something is being worked on." Reportedly, Nomura didn't actually mention a sequel or a new game in general. That said, Square Enix has the habit of mining its various IPs to no end, so it seems safe to assume that the company has plans to give fans another entry to its critically-acclaimed series.